THE LEMTOSH IS NOW AVAILABLE IN NEW EXCLUSIVELY BLENDED SAGE SHADE! MOSCOT, a New York City institution renowned worldwide for its iconic eyewear — The MOSCOT Originals, MOSCOT Spirit, and MOSCOT Sun Collections — announces the release of a new custom blended shade of Sage for MOSCOT Original, The LEMTOSH. 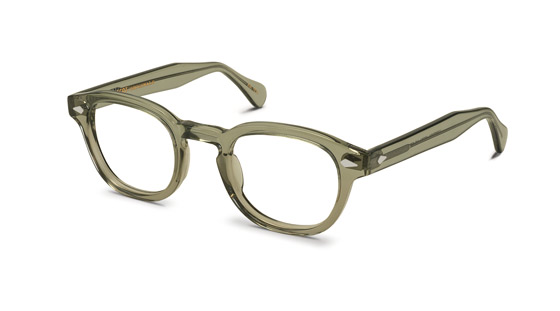 The LEMTOSH, now available in an exclusive Sage color, is especially fitting for a frame that has served as the calling card for generations of creative, thoughtful, free-spirited intellectuals and artistes.The LEMTOSH retails for $240 as ophthalmic, and $270 as sunglasses. For more information on new and existing styles from all MOSCOT Collections, and for a complete list of shops selling MOSCOT eyewear, please visit moscot.com.